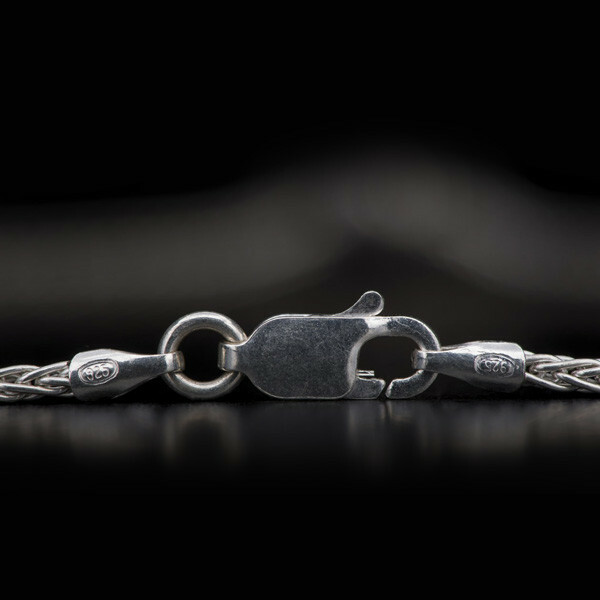 This William Henry necklace is not only fashionable, but it's fascinating. 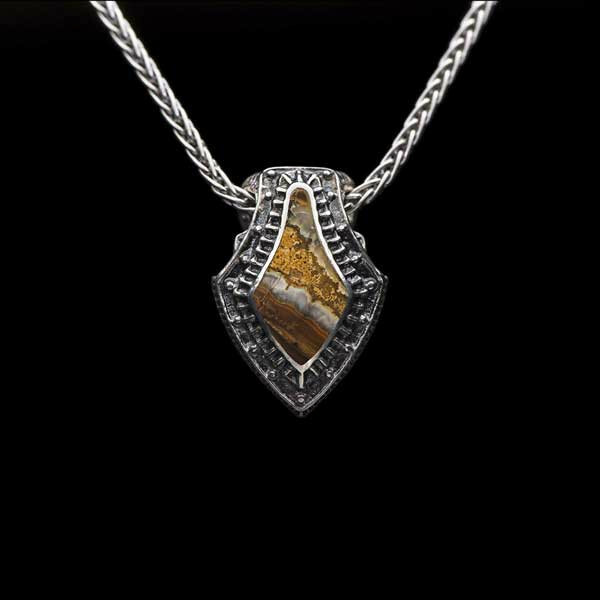 The sterling silver shield surrounds an inlay of fossilized bone that is 10,000 years old, and this piece floats along a 20" sterling silver rope chain. 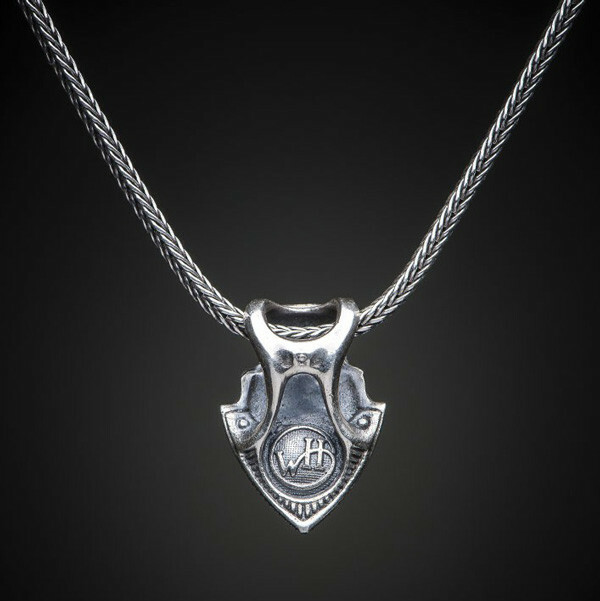 To accessorize any outfit, turn to this amazing pendant necklace from William Henry.